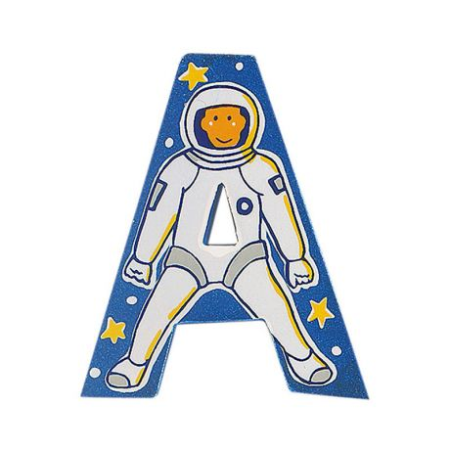 Action-packed adventure alphabet letters to give any children's bedroom lift off. 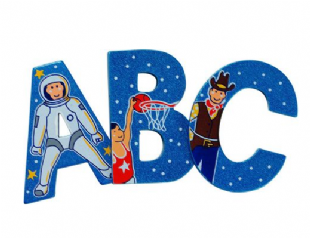 The detailed designs inspire literacy and language skills, and promote self awareness to young babies. These traditional decorations look wonderful on doors, walls or with Lanka Kade's name plaques.